WASHINGTON (CNS) — Have a holly, jolly . . . Advent? 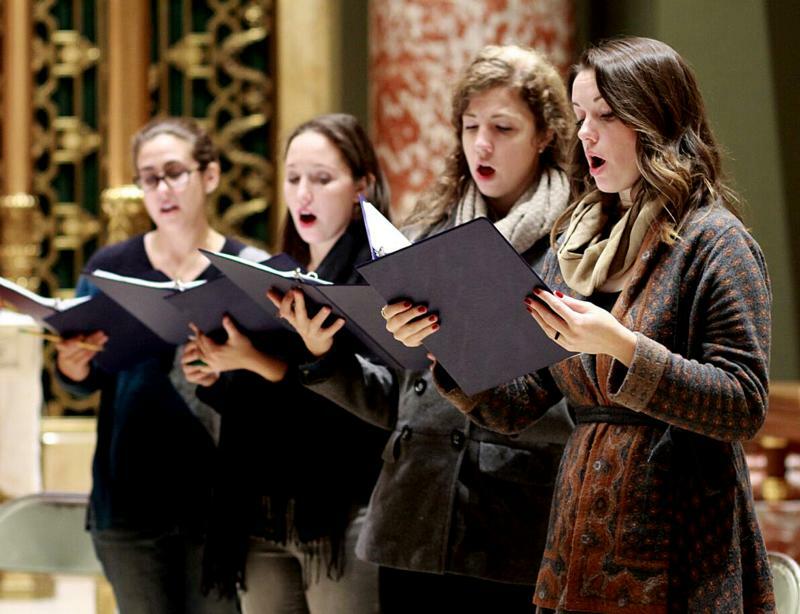 If there seems to be a culture clash between the Christmas season and the Advent season that precedes it, Christmas is going to win out practically every time, according to a pair of liturgical musicians. Peter Latona, director of music at the Basilica of the National Shrine of the Immaculate Conception in Washington, agrees, even though Advent is longer in duration than Christmas. Not all are into the Advent season when it is Advent, though. Gibala hailed a set of Advent Communion antiphons written by Russell Weismann, music director at Georgetown University in Washington, as “absolutely gorgeous. The liturgical readings are in three cycles that change every year, but the Communion antiphons are constant every year,” and he makes sure they are part of the season’s liturgical music programming. He’s also partial to his own composition “Advent Carol,” which he said was sung last year at Boston University’s service of lessons and carols. Steve Petrunak, president of the National Association of Pastoral Musicians, said in his 43 years of music ministry, he never found Advent to be lacking. “We wanted there to be a noticeable difference with the season of Advent. We quieted down, we perhaps looked to not heighten up things with lots of instruments, but pare it back a little bit,” Petrunak said. “This whole notion of waiting and a quietness was really something that we tried to instill within the season. I can’t say that my experience is one of Advent being overshadowed with Christmas. . . . We worked very hard to make Advent its own season of significance and importance.